There is only one version of the program. By default it is set to work in trial mode which lets you use most of its features. There is no time limit on the evaluation period, however the network features of the program are limited and you can only have three decks in your My Decks list. You can fully unlock all the features of the program by purchasing an unlock key from this website. 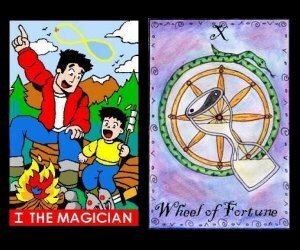 The Orphalese Tarot setup files come in three flavours. All of them install the same version of the program, the difference is in the decks that come with them. The Classic Edition of the Orphalese Tarot comes with two decks designed by our in house graphic art expert, F.J.Campos: the Imperatrix Tarot and the Traditional Tarot. For more information about Aeclectic Community Tarot, click here. The Tarot of Dreams Edition includes the popular deck of the same name by Ciro Marchetti, with accompanying notes by Lee Bursten, and a special background designed for the program by the artist. 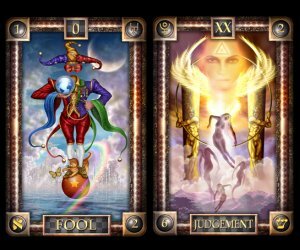 The upgrade is identical to the main installation except in that it does not contain any tarot decks. Uninstall the previous version first (this may happen automatically). Decks, spreads and readings will be unaffected by removing the program. 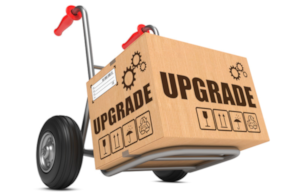 Use this link to replace your existing version of the program if you already have version 9 or higher. 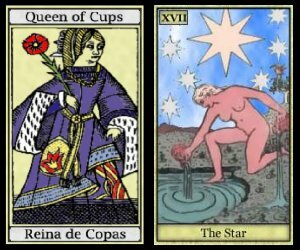 Important: If you are upgrading from version 8.7 or earlier you need to move your packs, readings and spreads from [Program Files/Orphalese Tarot] to [My Documents/Orphalese Tarot]. This is because the program has been reorganised to make it compatible with Windows Vista. The installation files above consist of a small executable file. When you run this it downloads all the files you need for installation. If you want to download all the files in one go you can use the link below to download a zip file.